Originally announced for a Europe, Asia, and Australia release, Eidos and RockSteady has announced that the Game of the Year Edition of Batman Arkham Asylum will be coming to The U.S as well. The GOTY edition will feature more challenge levels as well as being in 3-D which is pretty neat. 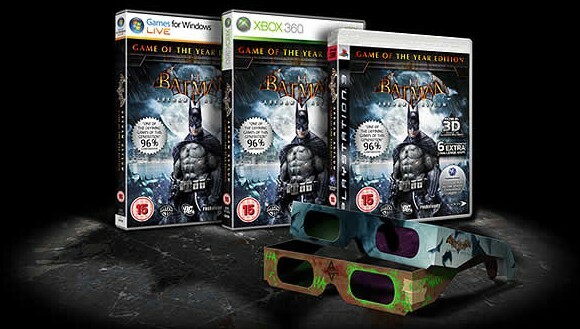 This was my Game of the year for 2009 as well as being a critical hit to Batman and Non-Batman fans alike. Look out for it this May.